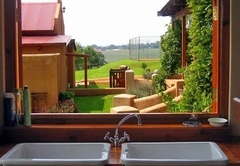 Cedarwood is a 3 star graded property offering Howick accommodation for up to 16 guests. 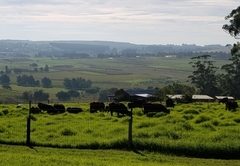 Cedarwood is a re-designed dairy offering gentle views and country charm just four kms inland off the N3, midway between Howick and Hilton. 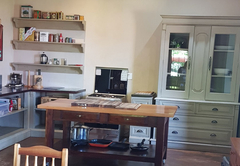 The furnished, self catering holiday house has four beautifully decorated en-suite bedrooms, two of which are family rooms - comfortably sleeping ten adults and six children. 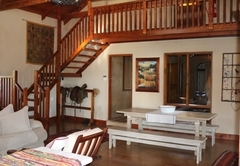 We also have loft space that sleeps three but use of one of the four bathrooms is required. There is however a fifth separate toilet. 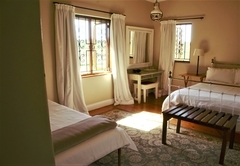 Main Bedroom - Queen-size bed, three single beds and an en-suite shower / bath. 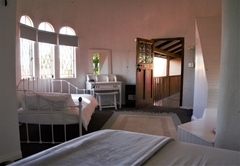 Family Suite - Queen-size bed, double bed and three single beds and an en-suite bath. 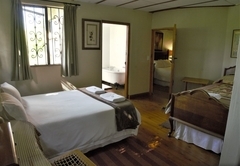 Family Suite 3 - Double bed and one single bedand an en-suite bath. 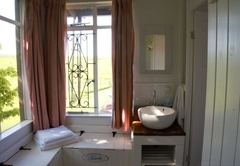 Tower Suite - Double bed and a single bed and an en-suite shower. 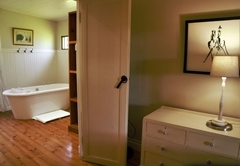 Loft Room - Four single beds - Occupants of this room will need to use guest toilet and share shower with one of the other bedrooms. 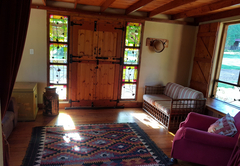 The living room is pure olde-world rustic charm with an enormous fireplace. 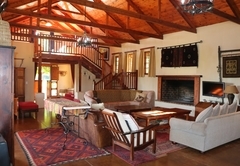 DsTV is available in the shared living space, which is open-plan to a fully equipped kitchen / dining room. 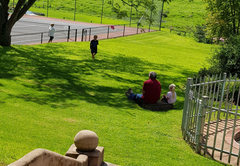 Weber and braai facilities are available. 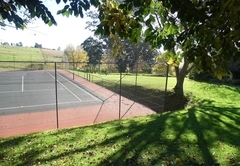 Guests have use of the farm tennis court and pool and can enjoy beautiful country walks. 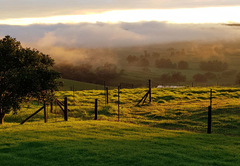 Cedarwood is on the doorstep of Midlands Meander route and ideally situated for our guests to experience the wonder of the Meander - an eclectic mix of arts and crafts, fly fishing and world class restaurants. 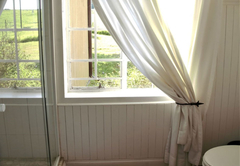 Visit the magnificent 100m Howick Falls from the viewing platform with surrounding walks. 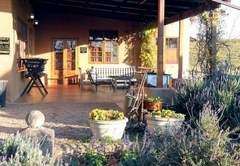 Browse through the exciting mix of curio stalls or have a relaxing lunch at one of the restaurants. 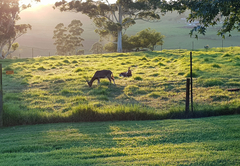 Make use of day hikes or drives through the Umngeni Valley Nature Reserve in Howick. 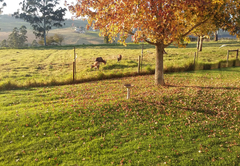 Some of the animals you may see include Zebra, Buck, and a wide variety of birds. 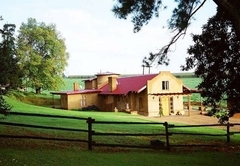 Take quiet drives though the well known interesting Arts and Crafts Midlands Meander. 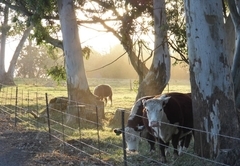 Amongst some of the most picturesque scenery South Africa has to offer. 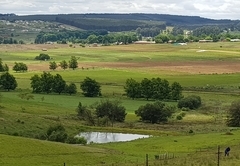 The Natal Midlands remains beautiful throughout all the seasons. 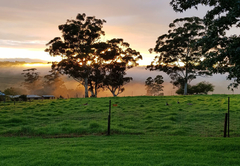 Self catering holiday house has four beautifully decorated en-suite bedrooms, two of which are family rooms - comfortably sleeping ten adults and six children. 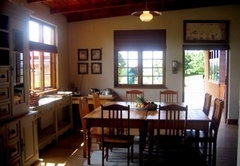 We also have loft space that sleeps three but use of one of the four bathrooms is required. There is however a fifth separate toilet. 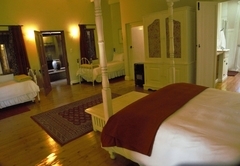 The main suite has one queen bed and three single beds with en-suite bathroom. There are two family suites. 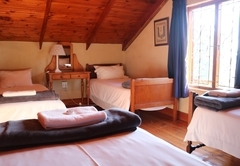 One with a queen bed, double bed and two single beds, and one with a double bed and a single bed. 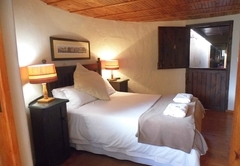 The tower also has one double bed and one single bed and the loft has four singles. 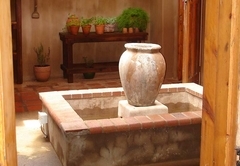 Occupants of the tower room will need to use guest toilet and share shower with one of the other bedrooms.